One uneventful Friday night, I decided to visit Disney World. I’d been once before, packing all four parks into five days. It was intense, and I didn’t get to go on all the rides. This time I wanted to take it easy. So I wandered around the Germany Pavilion at Epcot. I rode on Pirates of the Caribbean at Magic Kingdom. Twice, actually. I ate some snacks so I wouldn’t die. Someone built a 1:1 scale of Disney World in “Minecraft,” which is the game that Microsoft recently paid more than $US2 billion to own. “Minecraft” is what’s called an open-world sandbox game, where players can build amazing creations, walk endlessly, or even play against each other online. 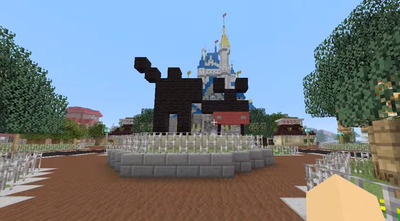 And that’s where Disney World comes in, or as it’s called in “Minecraft,” the MCMagic server. One of those teams, called ChiseledBrick, was started by a 13-year-old. People can spend anywhere from $US50 all the way up to $US200 per build, depending on various factors, such as the size of the build and the level of detail involved. “It’s usually a form of investment. 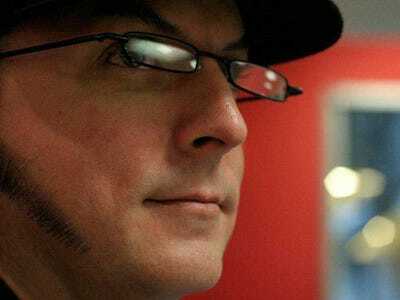 A server usually wants to have a good spawn area because it is the first impression of the server,” ChiseledBrick founder Justin Wang says. In MCMagic, there’s no dying. It’s strictly for wandering around and checking out the parks. The spawn area looks like the front entrance to Disney World, the ticketing and transportation center. You can read about different aspects of the park, and learn how to do things and which commands to type in. The best part is that you don’t actually have to walk anywhere. For example, you can just type in that you want to go to the Magic Kingdom, and you’re magically transported to Main Street. Courtesy of TripAdvisorThe real Cinderella’s castle in the real Magic Kingdom. Neill stumbled on this server before taking a trip to Disney World with her husband, and just fell in love with it, she says. She’s been helping out with the server on and off for about three years, all as a volunteer. She said it’s not uncommon for people who meet on the MCMagic server to hang out in real life, and even meet up in the real Disney World. They ask people who are going there to take detailed pictures, they use aerial images from Google, and they have even found the blueprints to some of the rides in order to build them to scale. But thanks to the quick way of getting across the parks, there aren’t any crowds to deal with. 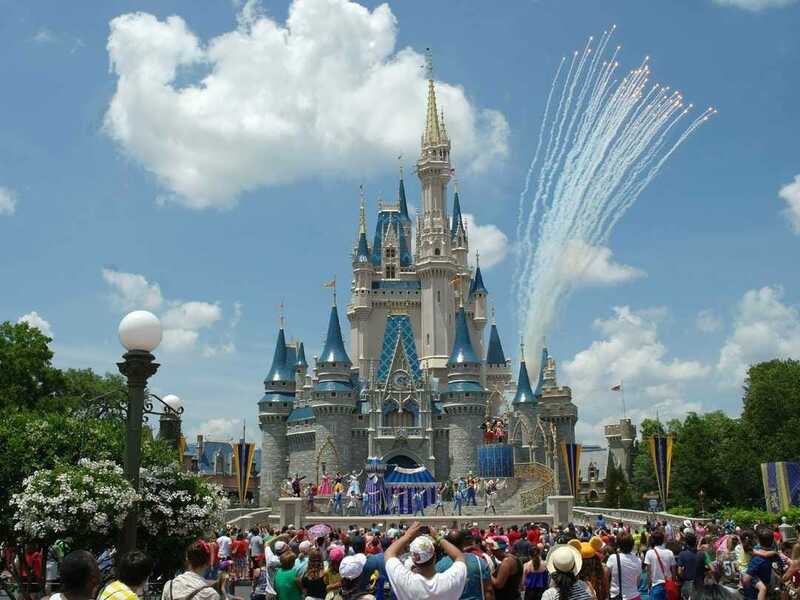 There aren’t any plans to expand beyond Disney World. They will never build the Disneyland in California, or any of the other parks around the world. But that doesn’t mean the work is over with the parks. 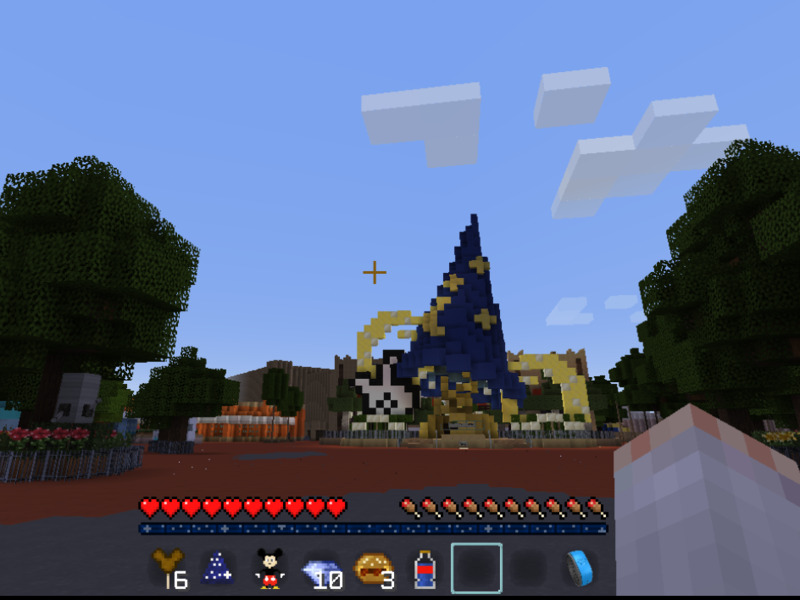 Cast members in MCMagic are constantly building new things, ranging from changing up the different seasonal decorations, to huge projects like new rides or attractions. For example, it was just announced that they’re removing the sorcerer’s hat from Disney’s Hollywood Studios. So it’s only a matter of time before they remove it from MCMagic.